What are your plans for the weekend? If you have a lawn, then in all likelihood you will be spending some time mowing it. Just so you are aware; around 80,000 people will visit the emergency room this year because of an incident they have with their lawnmower. As if having to spend Saturday afternoon mowing your yard isn’t bad enough, you can hurt yourself and have to spend Saturday night in the hospital. ctures your ankle. But most of the time you will just get a nasty bruise and a few stitches. It could be worse, yard work poses a lot of dangers you know. For example, you could be trimming your trees and bump that wasp nest, Heat-related could be more than just a painful experience, it could be deadly. In fact, when you stop and think about it, all yard work poses a potential danger to yourself. 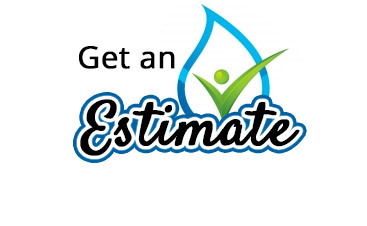 It almost makes sense to hire a service to do all of your yard work. 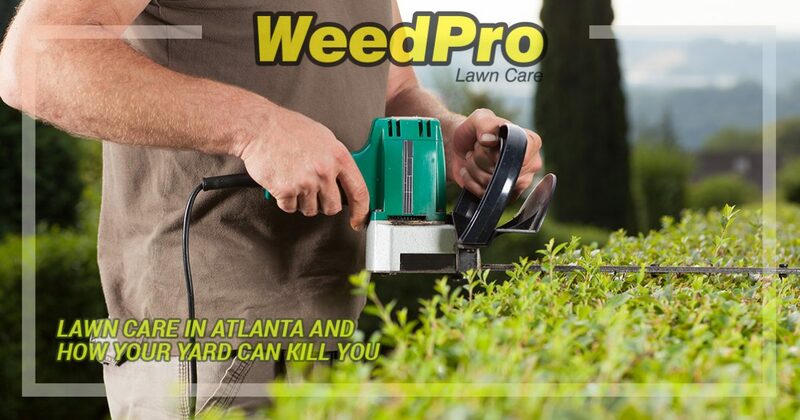 Think about it; hire WeedPro Lawn Care in Atlanta and you won’t have to worry about stitches, broken bones or losing an eye. Plus, you can do what you want on the weekends and not have to worry about mowing the lawn. If you still need to be convinced this is the right move, here are a few more ways in which yard work will hurt or kill you. Like we stated earlier, your lawn mower might be your friend, but it has no problem spitting dangerous objects at you with extreme force. 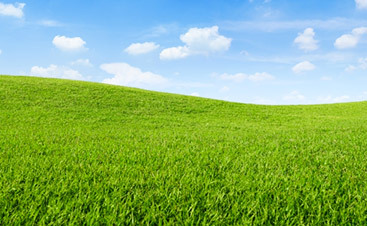 The average homeowner uses 10 times more pesticides and other chemicals on their lawns than farmers use in their crops. Heavy doses of these chemicals have been associated with everything from mild breathing problems to certain types of cancers. Best you leave the lawn chemicals to lawn experts. You forget to water your lawn for a week or two and before you know it, the grass is yellow. dead and dry as tinder. With a lawn that is this dry, it is a suburban inferno waiting to happen. Go ahead, start up that lawnmower and see if you can start a fire. You are in danger even if you don’t mow your lawn. A wayward strike of lightning or a cigarette from a passing car is enough to start a fire in your dry lawn. If you don’t call the utility company before planting your new shrubbery, it could lead to you getting electrocuted. 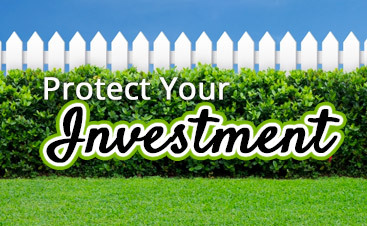 Before you start digging, make sure your life insurance premium is paid and updated. The simple act of pruning a tree can get you an ambulance ride really quick if you aren’t careful. Over 200,000 people get expensive rides to the hospital every year because of ladder-related injuries. If you spend the afternoon working on your lawn, make sure you check yourself for ticks when you get inside. Ticks are known to carry Lyme disease, which can lead to fever, headache and a rash. If it is left untreated, the infection can eventually lead to your heart. Heat related illness happens when your body is overtaken by heat. According to the Centers for Disease Control, nearly 1,000 people die each year from heat sickness. About 4,000 people are injured each year using their hedge clippers. Unfortunately, the biggest casualty of such an accident is a finger or thumb. Other injuries from hedge clippers include injuries from projectiles and electric shock from extension cords. This terror tool can cause some pretty extensive injuries if you aren’t careful. Getting stung by a wasp or a bee isn’t very pleasant. Getting stung by a swarm of wasps or bees is downright deadly. 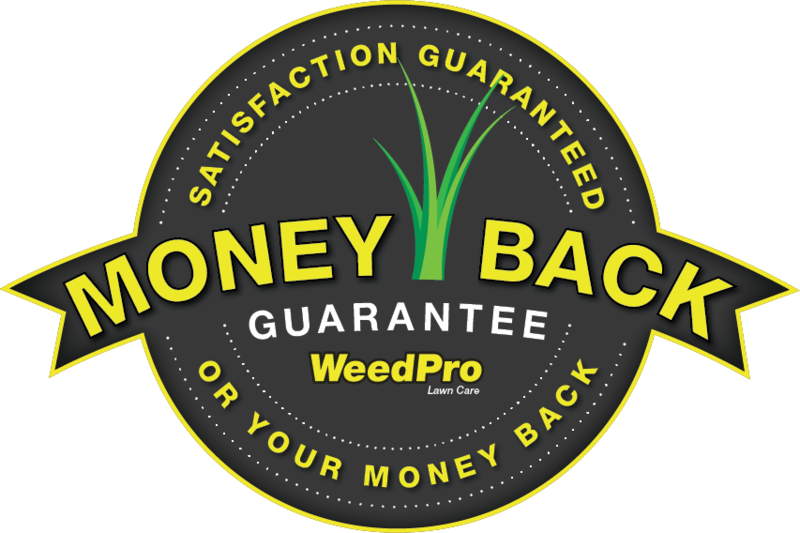 As you can see, it makes perfect sense to hire WeedPro Lawn Care if you want to stay healthy this summer. Contact us today.